It’s one of Perth’s newest restaurants – and it’s already making its name not just for the unique dining experience, but also for the vibrant and exotic interior. Hippo Creek African Grill in Subiaco is all about open fire cooking – wood-fired char grill – which harks back to nomadic hunter gatherers. And as part of the interior design, the South African restaurateur wanted an open fireplace which was in keeping with the theme of Hippo Creek. The client’s brief was to create a modern African restaurant which, above all, had a wow factor. 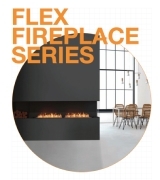 Having already seen and liked the entire EcoSmart Fire range, they decided an open fireplace would be an ideal fit. 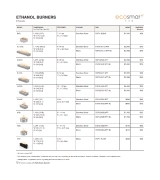 Three EcoSmart Fire Burners were incorporated into a 20-gallon barrel which had been cut in half, welded together and braced to hold toughened glass panels into position. Black river stones were placed around the burners and Axolotl paint was then used to make the fireplace look rustic. “We wanted a high, colourful flame which could be contained (for safety reasons) and at the same time be highly visible, and be a big attraction,” explains Mike. “Bigger is better! 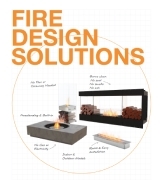 The burners achieve that and provide a wall of flame across the entire fire pit. Having installed the EcoSmart Fire Burners into the Hippo Creek restaurant, Bremick Design + Build has just specified EcoSmart Fire for the new beachside development – Mirvac’s flagship – being developed in Western Australia. Bremick Design + Build is constructing a restaurant and bar, and will incorporate two EcoSmart Fires, which will back onto the bar section. 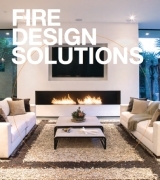 “I wouldn’t hesitate in recommending EcoSmart Fire for future projects,” says Mike. Visual Magnet The clean, minimalist aesthetic of the EcoSmart Fire 900DB Firebox was an essential ingredient in the recent transformation and refurbishment of Washington DC’s award-winning Equinox Restaurant.